If you are thinking about purchasing a property, there may be many questions that you have about the buying process. Bailey Devine have created a buyers toolkit that includes a range of frequently asked questions and answers that may help you in this very important matter. If you need more information and assistance, please contact the team at Bailey Devine and we will be more than happy to have a chat and help you out. QHow do I start looking for a house? It is best to start by finding out exactly how much you can borrow. Approach your bank direct or ask for Bailey Devine’s mortgage broker to visit you before you start the journey. The next step will be to identify what areas you would like to live in, or can afford to live in, and then start searching for properties within your price range in those suburbs. The easiest and most efficient way of finding potentially suitable homes is to look at real estate websites online. QWhat do I do if I see some properties online that I would like to look at? There are a number of options here. Find out when the property is going to be open for inspection and attend during that time. Generally these open for inspections are over the weekend. QIf I deal directly with one sales agent will this cost me money? No. If there is a successful negotiation, then the agent dealing on your behalf will be compensated by the sales agency selling the property. This is what we call a “conjunctional arrangement”. There is one exception to this and that is if the buyer is dealing directly with a “Buyers Agent”, who is compensated directly by the buyer on the successful purchase of a property. A contract between both the buyer and Buyers Agent would have to entered prior to the agent assisting the buyer in the search for a suitable property. QHow do I make an offer? You enter into a conversation with the sales agent and discuss your potential offer. They will complete an Offer & Acceptance document on your behalf. This offer includes the price that you are willing to pay, your finance clauses and any special conditions or reports you would like completed and a settlement date. Placing an offer may not secure the property however it shows the owner that you are serious about the purchase. Then the negotiations begin. 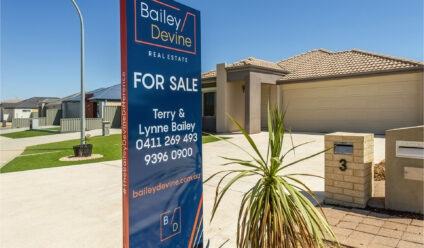 Our Bailey Devine sales agent will guide you through the whole process and ensure that both yourself and the owner are happy and fully understand the contract prior to signing and acceptance. QWhat happens if my offer is accepted? Once all signatures and initials have been obtained and you have been informed of that fact, then the document becomes a legally binding contract. At this point you will need to pay the agreed deposit which is held in the agency’s trust account until settlement. It is then time to submit the offer to your bank / broker and obtain finance approval if that is a condition of the offer. You will also need to satisfy any other conditions that are listed on the offer, for example, termite and building inspections. QWhat happens if my finance is declined? If you have made an application and have a letter stipulating that the finance has been declined then the contract generally comes to an end and the deposit will be returned. QWhat other conditions could there be? Any easements or restrictions on a title. QWhat happens if something is found not to be working during the pre settlement inspection? If it is an item that should be working as per the contract and it is discovered during the inspection then it is the owner’s responsibility to ensure it is fixed prior to settlement. Settlement refers to the actual date which the property is formally sold, and ownership is transferred from the previous owner to you as the buyer. This is generally the day you receive the keys to your new property and you take possession (some properties are subject to 12pm the following day for key handover). It’s now time to start celebrating! QWhat does a conveyancing / settlement agent do? Your conveyancer / settlement agent oversees the legal process of transferring the ownership of the property and money. They make sure that everything is legally correct as the property transfers from one owner to another. A settlement agent will ensure that all local authority accounts, land taxes, water authority will be finalised at settlement. Stamp Duty is a government tax on financial transactions in Australia. The more expensive a property, the higher stamp duty rate that must be paid. 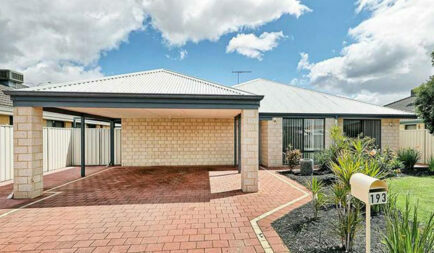 Stamp duty is invested into the economy by the state and territory governments which collect it. Congratulations on deciding to purchase a new home. Buying a home is often the biggest financial decision in one’s life, so understanding the process and completing your due diligence is crucial to ensure you buy correctly. We have some valuable tips to help you make smart decisions. Have a clear understanding of what you are looking for in a property. We suggest you prioritise a list into needs and wants and ensure the property you buy is within your budget. Now comes the big task of finding a home that matches your needs and budget. Ask yourself the question, why am I buying this property? If you intend living in the property does it suit your needs? Is the garden the right size? Are there enough bedrooms for the whole family? Capacity to extend? Indoor and outdoor living areas? Is it close to school for the children? Identify what’s crucial and ensure the home has these features. By researching the real estate market in an area, you will be much better informed on property values. Ask Bailey Devine Real Estate to show you some similar properties which have sold in the area recently. In choosing the right location there are some major factors to consider such as distance to your workplace, children’s schools and recreational facilities. Ensuring you have the capacity to purchase is critical. Prior to negotiating any contracts to purchase ask Bailey Devine’s mortgage broker for assistance. This way you will know how much you’ll be able to borrow and what your repayments will be. Loan conditional approval and pre-approval is a big advantage when negotiating an offer with the owners. Building inspection and pest inspection reports are crucial when purchasing a property. They will help ensure you don’t end up with unknown problems which could cost you thousands down the track. When you have found the property that you would like to buy, the next step is to place an offer. This offer includes the price that you are willing to pay, your finance clauses and any special conditions or reports you would like completed. Placing an offer may not secure the property however it shows the owner that you are serious about purchasing. Then the negotiations begin. Our Bailey Devine sales agent will guide you through the whole process to ensure a successful outcome is achieved. Moving can be a very stressful time in your life. To ensure everything runs as smoothly as possible we have listed below a few key points to consider the crucial weeks before the big move. Organise a removalist – ask friends or relatives for recommendations. If necessary, book time off work. Collect moving materials such as boxes, packing tape, rope, newspapers (for wrapping) and marking pens. Start packing non-essential items and clothing – list the items packed on the outside of the box. Contact your utility companies and communication providers. Arrange for disconnection and reconnection of telephone, internet, Foxtel etc services at your new address. Make a list of the items you want the removalist to move and any items you’ll be moving yourself. If you have pets, organise care for them during moving day and transport arrangements for your fury friends. Arrange redirection of mail with Australia Post. Empty your freezer and pantry (look at donating all food that you will not be able to eat or take with you). Arrange for all outstanding bills to be paid. Cancel services such as mowing service, newspapers and other home delivery services. Put important documents such as passports, driver’s licences in a safe place. Finish packing – make sure all boxes are correctly labelled with contents and rooms. Make sure the house is sparkly clean. Do one final check of your house. Stay home until the last item is packed and do one final check over to ensure all your goods are loaded and ready to go. Carry valuables, personal items and important papers with you so they don’t get lost. Pack a starter kit for the first hours in your new home – include tea / coffee, kettle, mugs, teaspoons, water bottle, etc. Check all items during unloading and unpacking – look for any damaged or missing items. Check the utilities have been switched on. Start with essentials such as making the beds and cleaning the kitchen for use. Find out when your garbage and recycling collection day is by contacting the city council. Check out your local parks, shops, sports centres and swimming pools. Get your pets familiarised to the new area as quickly as possible so they don’t try to find their old place. Apply for an updated driver’s licence. What’s really important when buying your home is having someone on your team, someone who will explain and guide you through the entire process of buying your castle. Our mortgage broker is here to be your sounding board and do all the paperwork required to successfully get the loan approved and assist in the completion of the first home owners grant if required. Warren Bank, our mortgage broker will ensure regular contact is made to ensure the bank and product is still the best possible for you and hopefully a lifetime of working together discussing all financial requirements happen. The best part of Warrens job is catching up with previous families he has helped and seeing their families grow and hearing where life’s journey is taking them. A large benefit of using Warren as a Mortgage Broker, is that his service is completely free to you. The income Warren receives comes from the financial institution you chose to approach for finance, based on the information you provide and depending on your financial position at the time. Property settlement is the final stage of a property sale where the buyer completes payment of the contract price to the owner and takes legal possession of the property. The ‘settlement period’ is the amount of time between the exchange of contracts and the property settlement. Along with your Bailey Devine Real Estate sales consultant you will nominate a Settlement Agent who will follow up special conditions of the Offer and Acceptance to ensure your property settlement goes as planned. Your settlement agent will attend settlement on your behalf and ensure all documents are correct and handed over to the party who will hold security after settlement.